A.H.C.C. 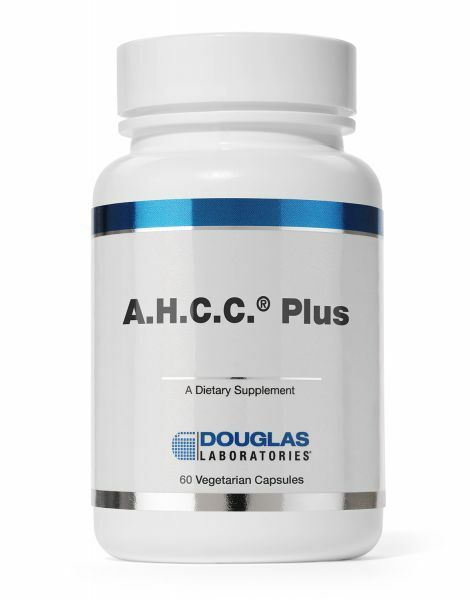 Plus 60c is available by Douglas Laboratories. Mushrooms have always been an important part of Asian medicine and are known to contain numerous substances that help to support the immune system. A.H.C.C. (active hexose correlated compound) is a unique mushroom-derived extract designed to provide support to the entire immune system. Scientific research indicates that A.H.C.C. may play an important role in supporting the bodys natural defense mechanisms. This formulation combines A.H.C.C. with arabinogalactan. Mushroom mycelia extract, Candelilla wax, Cyclodextrin and Microcrystalline cellulose. 132 points will be rewarded to you when you buy this item. Earn free products. Click on the green "i" for more information on our rewards program.